Sea. Hear. 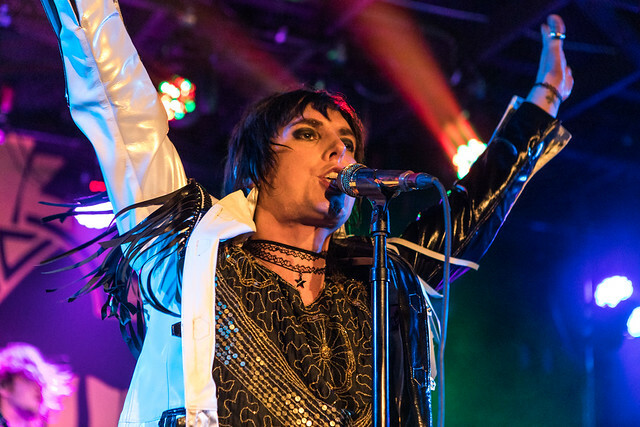 Now Festival 2019 Lineup Revealed Reviewed by admin on February 27, 2019 . The second annual Sea.Hear.Now Festival announced their outstanding line-up today at 11am EST. We’d be fibbing if we didn’t say yesterday we phone jammed trying to piece together who we thought would be on the bill, like Inspector Gadget and his merry pal; scouring websites to see bands who had off days saved for the festival which is to take place September 21st – September 22nd in Asbury Park. If a band we suspected could be performing in the area and have a night off, we were thinking they might be on the festival. Or sheerly if there were any clues in the wordage of press releases or validity to any rumors we have heard about the fest. To our shock, not a single rumor panned out. I felt like I was solving the biggest-baddest riddle in history for about five minutes. Music is amazing, and we were already talking much about the headliners that were announced back in January 22nd, those being Dave Matthews Band (RCA) and The Lumineers (Universal). 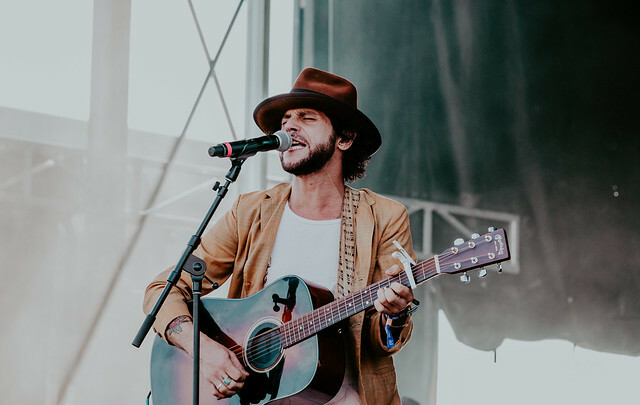 We noted that The Lumineers are playing Bonnaroo this year, and like Sherlock Holmes & Doctor Watson we popped into some of the other top festival line-ups and we came up with an amazing imaginary festival that one day should happen. Today we got to see how close we came and truth be told, we did pretty good! We should probably interject here to say the masterminds of Sea.Hear.Now, Danny Clinch, and C3 Presents in reality are the ones who did so well. 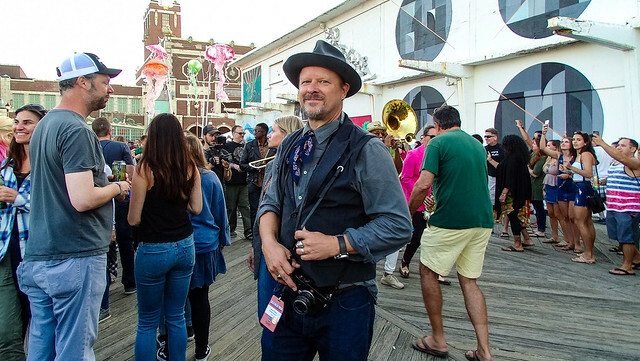 Last year’s fest packed out Asbury park for two days of craziness. Enough delicious food, arts, and festivities to keep people occupied outside of the stellar line-up. This year we are excited to see what they build off of such a solid foundation that 2018 offered. The first edition of Sea.Hear.Now, was, in our opinion, the best festival of 2018. It’s not hard to see why, but let me paint you a picture. A beautiful 70 degree weekend in September, toes planted in the sandy beach of Asbury Park, NJ and in all directions were something to illuminate your senses. 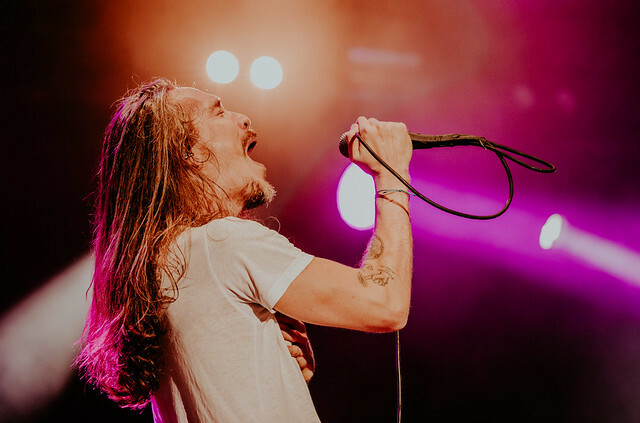 On either side of the beach, two massive stages vibrating the tunes of Incubus, Jack Johnson, Brandi Carlile, Frank Turner and The Sleeping Souls, Nicole Atkins and so many more. As you look out into the ocean, some of the best surfers in the world catching some waves and laughing with their friends and family. Right off the boardwalk were food vendors galore with literally any snack or meal your heart can desire. Of course we know music and art go hand in hand, so what’s better than Danny Clinch’s Transparent Gallery in the park? Then, more music. A stage at the end of the park which featured Highly Suspect, Tangiers Blues Band, Langhorne Slim, and more. One of the best parts of the festival and something you don’t really get from others is the community. Asbury Park is a community and no place in the world will welcome you more than this Jersey shore gem. Want a taste of what a magical weekend Sea.Hear.Now 2019 could be? Check out our complete coverage from last year at the links below and a preview of why we think you should attend this year. Inaugura Sea Hear Now Day 1. 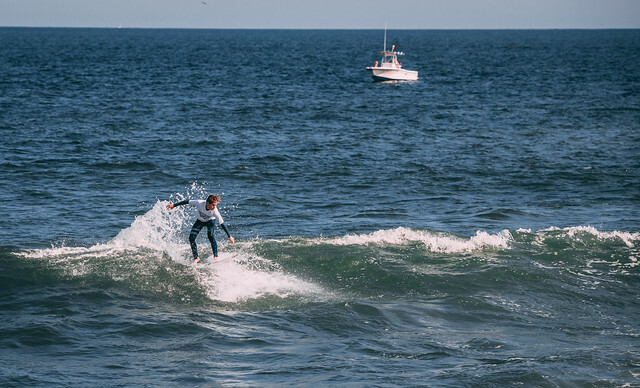 Surf: Balaram Stack, Sam Hammer, Brett Barley, Rob Kelly, Andrew Gesler, Mike Gleason, Noah Beschen, Shane Borland, Pat Schmidt, Clay Pollioni, Quincy Davis, Cassidy McClain, Autumn Hays, Tom Inhken, Randy Townsend, Simon Hetrick, Logan Kamen, Maddie Ryan, Morgan Iglay, and Jude Clark. 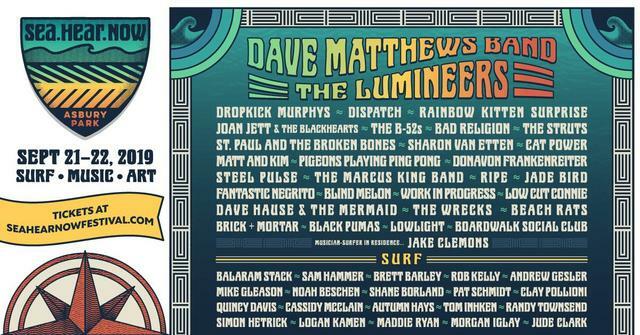 Our picks – Dave Matthews Band, Dropkick Murphys, Rainbow Kitten Surprise, The Struts, Matt & Kim, The Marcus King Band, Fantastic Negrito. 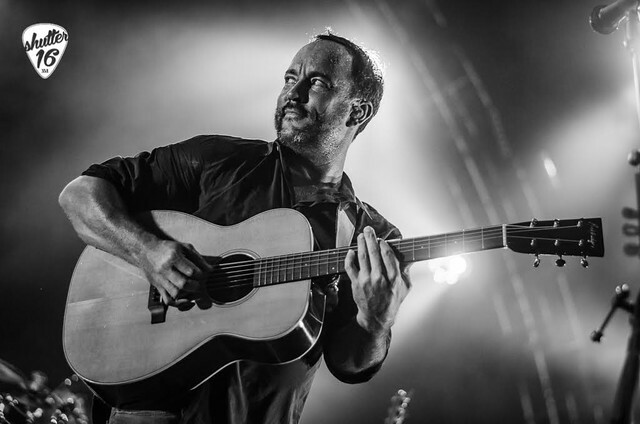 Throughout the decades DMB have amassed an amazing amount of hits and countless hours, days, and years on the road honing their performance skills. They have a very intimate chill vibe that meshes perfectly with the surfing art festival. 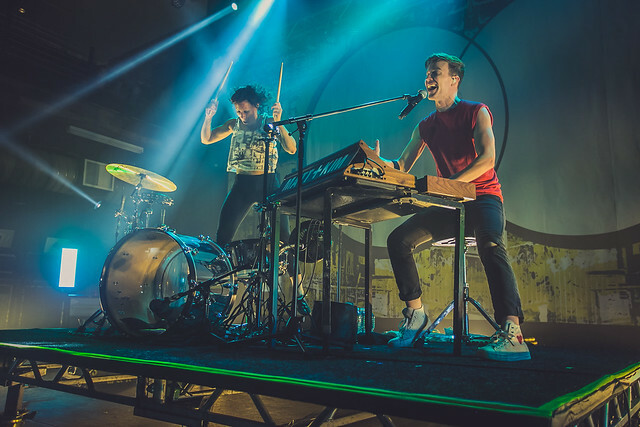 Matt & Kim are a whole entire bunch of energy that bring the hype to the day, and to keep with the ‘getting the crowd going’ theme The Struts are the perfect formula band to complete a successful recipe. Hope you got your tickets early – General Admission ticket price increase is in effect as of today. Act fast and grab some of the remaining 2-Day GA Tickets for the lowest possible price! You can purchase them here. See you on the sand, or in the photo pit, or in the Danny Clinch Transparent Gallery, or stuffing our face with delicious eats from the food truck…. Your choice, but make sure you come say Hi!